Having suffered the dark weight of depression for most of her life, the author decided to write a collection of reminder notes to herself in an effort to reduce the stress. Eventually this attempt at self-help became the collection of dialogues that make up this book. 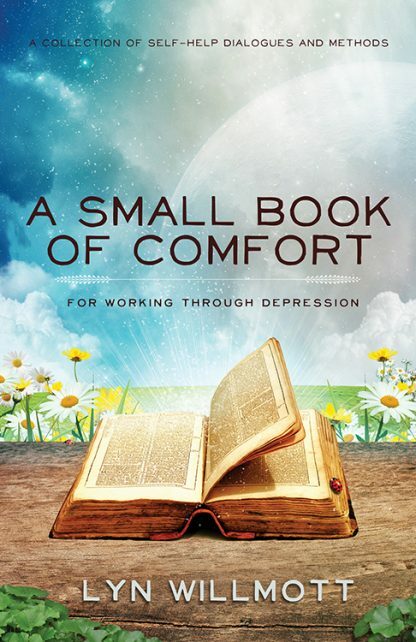 She has successfully used the dialogues and methods in this book, and now shares the method with others who are dealing with the ravages of depression, physical pain, emotional torment, and/or chronic illness so that they might also gain some benefit from them. The words on these pages not only speak to what we might be suffering in this solid, three-dimensional world�but at a deeper level they shine a light on the torment most of humanity is experiencing because of loss of contact with the inner self. Lyn Willmott has a BA in ceramic design and another in teaching. She has taught art and English expression in a variety of classrooms.